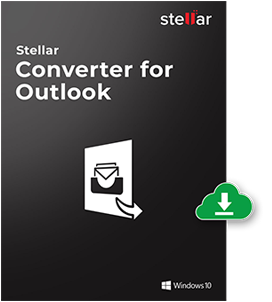 Stellar Converter for PST for Mac is the best tool to convert all your MS Outlook data to the equivalent MBOX file. Here are some of the most important features of the software. The software is the best option to convert your Microsoft Outlook mailboxes into MBOX format. 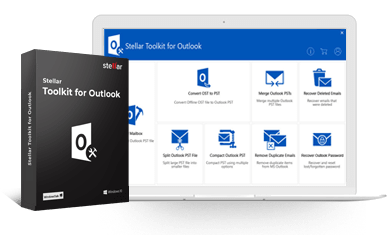 All those wishing to migrate from the Windows platform to Apple Mail, Stellar Converter for PST for Mac is the ultimate choice. The software keeps the original formatting of the mails and other mail items. This utility takes PST file as an input and produces MBOX file in minimal time. After getting resulted data in MBOX file, user can import in Apple Mail. Apart from reducing time span, it also removes the complexity of conversion by implementing advanced conversion methodology. This tool works with an encrypted PST file. Even if, there is password protection with the Outlook data file, Stellar Converter for PST for Mac, by passes it and gives you the finally converted MBOX file. PST to Apple Mail converter provides an option to include contacts in conversion process. After completion of email conversion process, you can import contact into Apple Mail. Stellar Converter for PST for Mac facilitates the user to choose calendar entries for conversion process. After conversion, user receives calendar file in ICS format which can be imported into Mac mail. Stellar Converter for PST for Mac enables the users easily select the PST file from your Mac volume. You can browse through your Mac or simply mention the path of the file. The tool picks the file from there and selects it for conversion. If are unaware of the location of the PST file in your Mac, the tool helps in finding the same. You can specify a volume or a folder within a volume from where it searches all the PST files and lists them all. All you need to do is to choose the one you need to convert. In case, user is converting complete PST mailbox then no kind of destruction occurs in folder's hierarchy. You will get same folder arrangement in output data (MBOX files). This specialty gives a clear understanding with converted data with 100% accuracy. This conversion practice does not influence naming convention, which was mentioned earlier with the PST file. When conversion process is completed, MBOX files retain the same name as defined with PST earlier. You need to mention the destination path right at the beginning of the process where the software saves the converted file. You just need to fetch the MBOX file from that location and import it to the mail client of your choice. Stellar Converter for PST for Mac has built with an efficient preview module that quickly scans all the mail items. It allows you to read the content of all the mails, contacts, calendars, messages, etc. This powerful module also provides preview of messages in three view format. This time Stellar Converter for PST for Mac has updated with an enhanced user interface with some additional modules. Its interactive and self-explanatory GUI helps you to operate this tool effortlessly. It was truly a robust converter with full-fledged Mac OSX compatibility. I successfully transferred Outlook 2010 emails to Apple Mail on Mac platform. This utility helped me to get back Mac OSX environment again. Que: Is there any option to find the exact location of my PST file? Answer: Yes, the software has advanced searching module that can easily find the location of your all PST files.